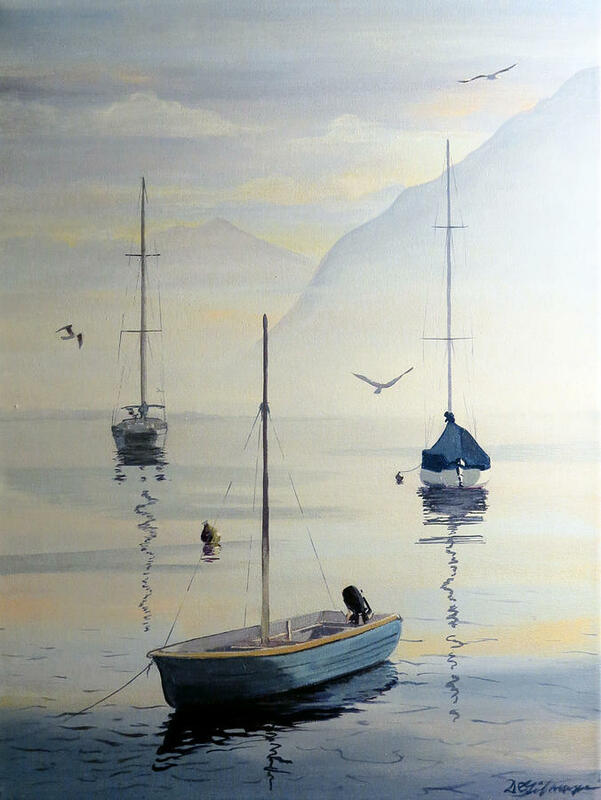 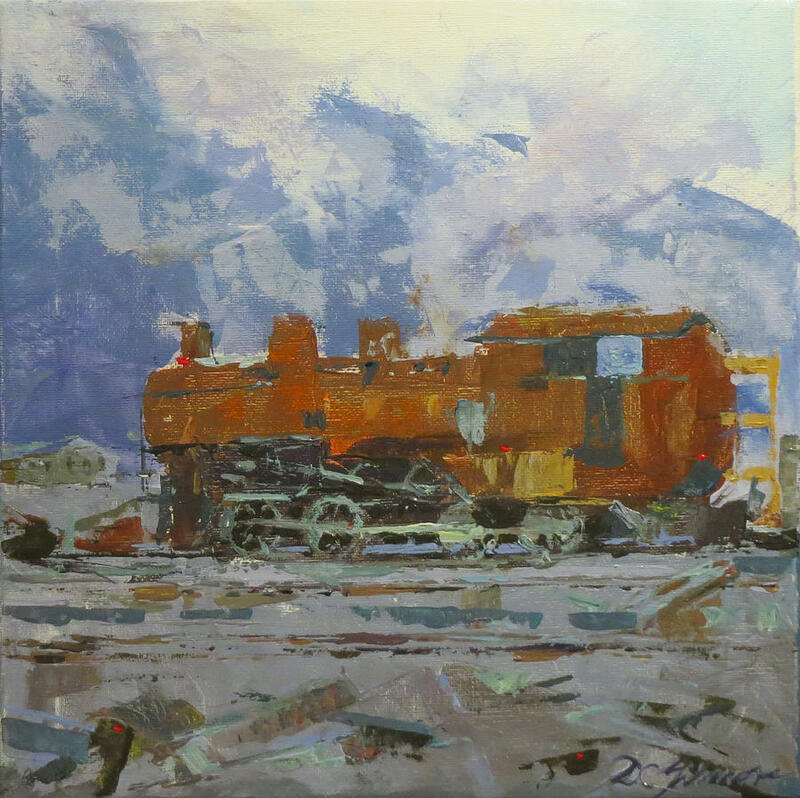 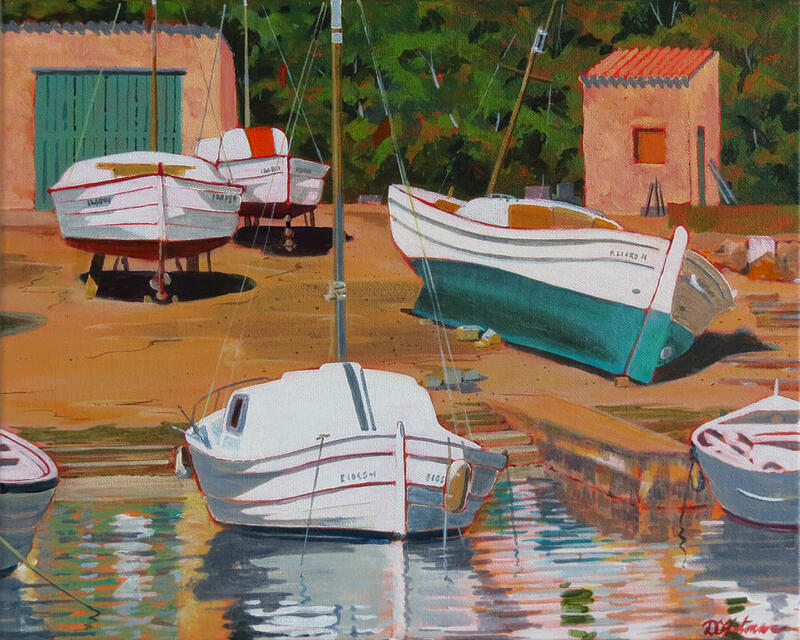 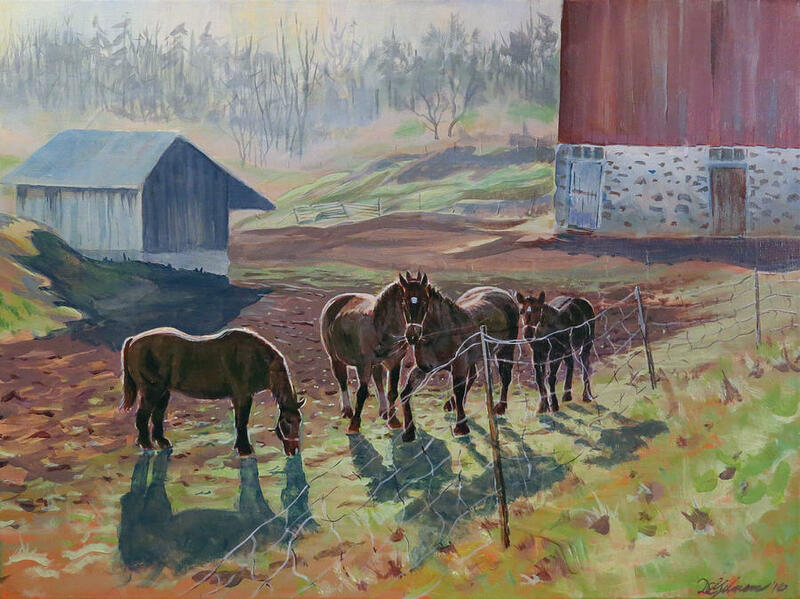 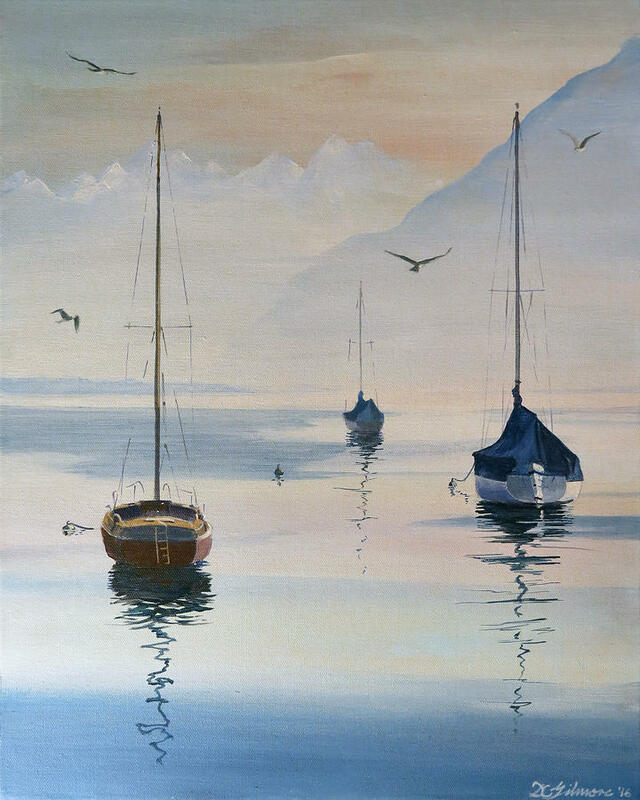 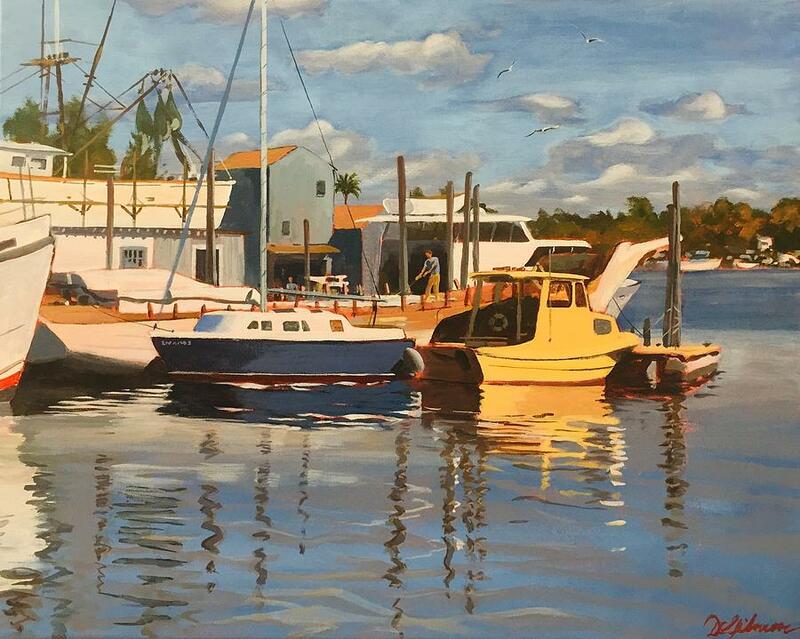 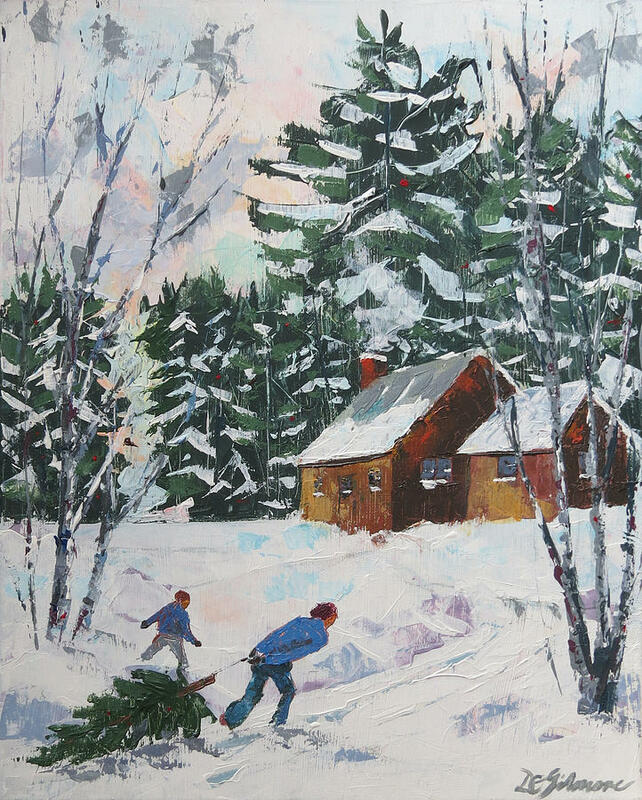 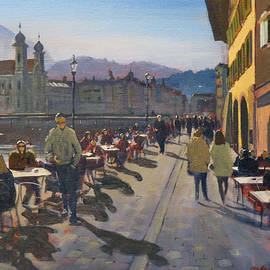 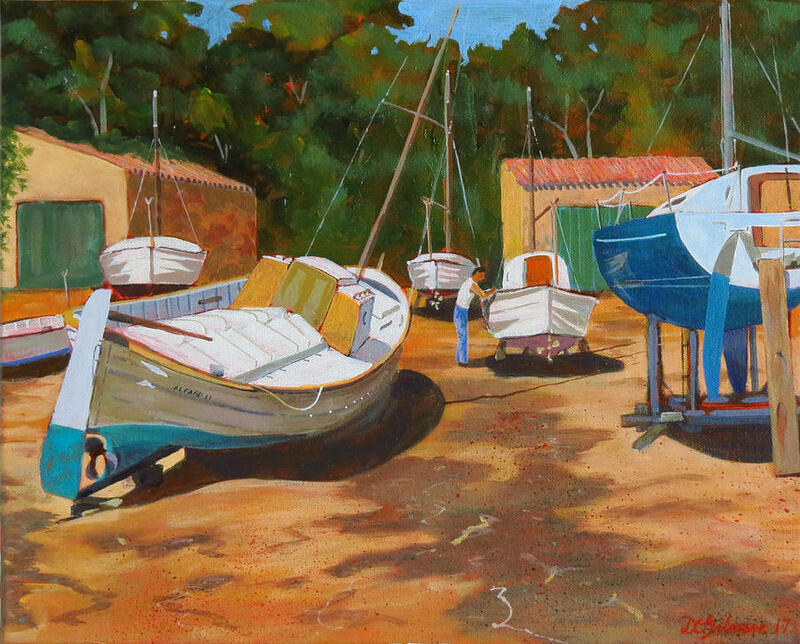 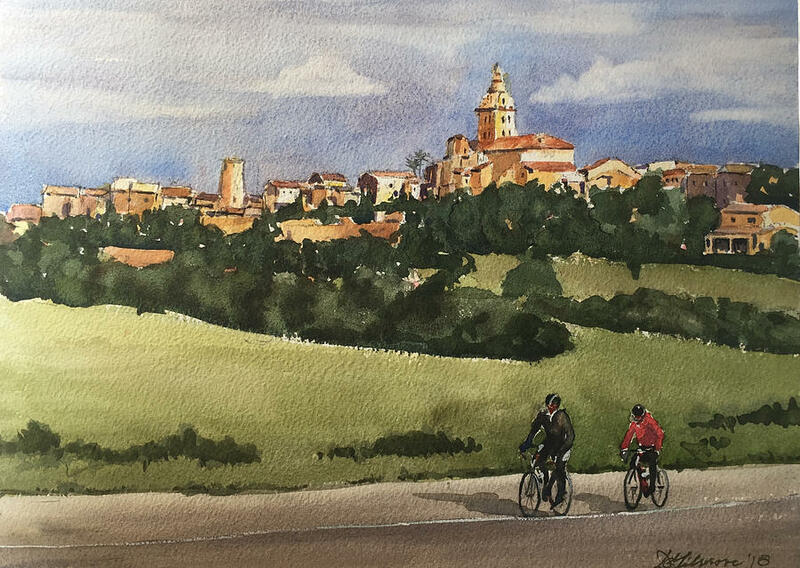 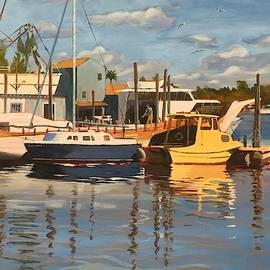 David Gilmore, a retired engineer turned painter, is a resident of Kingston area. 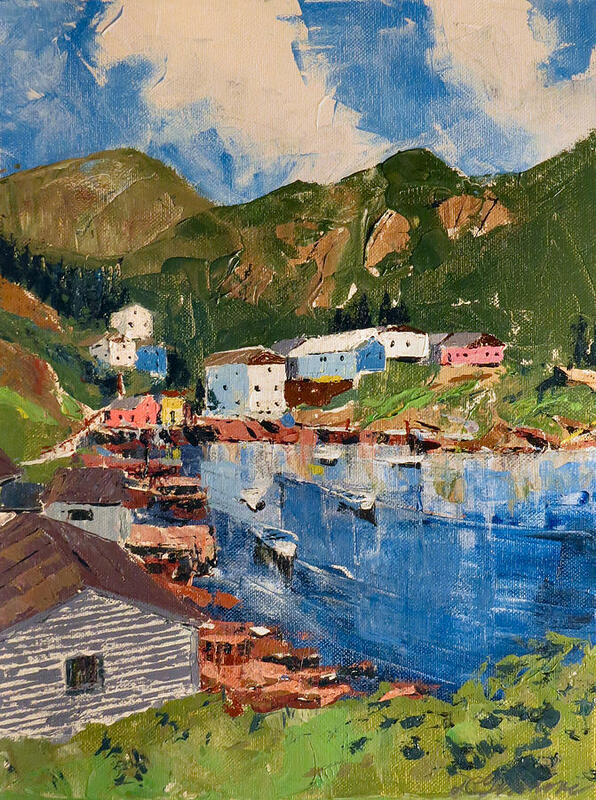 He started painting as an 8-year old while growing up in Montreal. 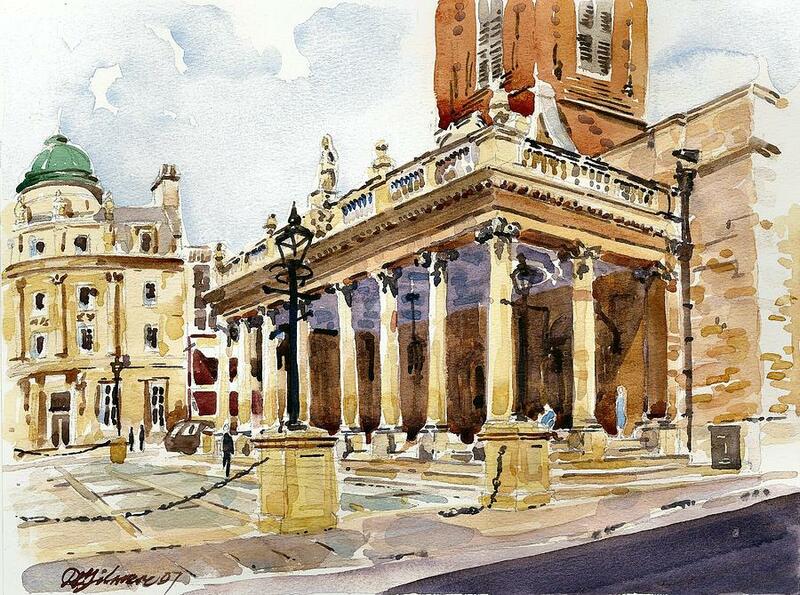 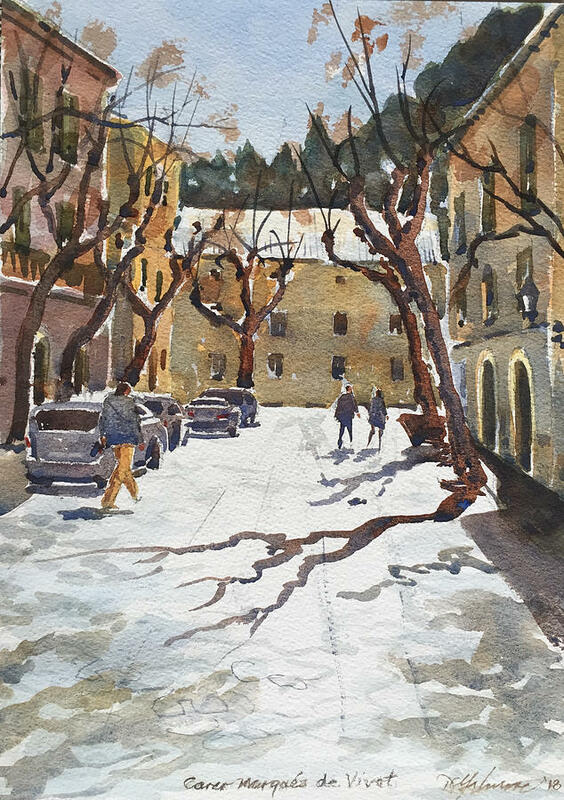 About forty years ago he developed a keen interest in watercolour painting. 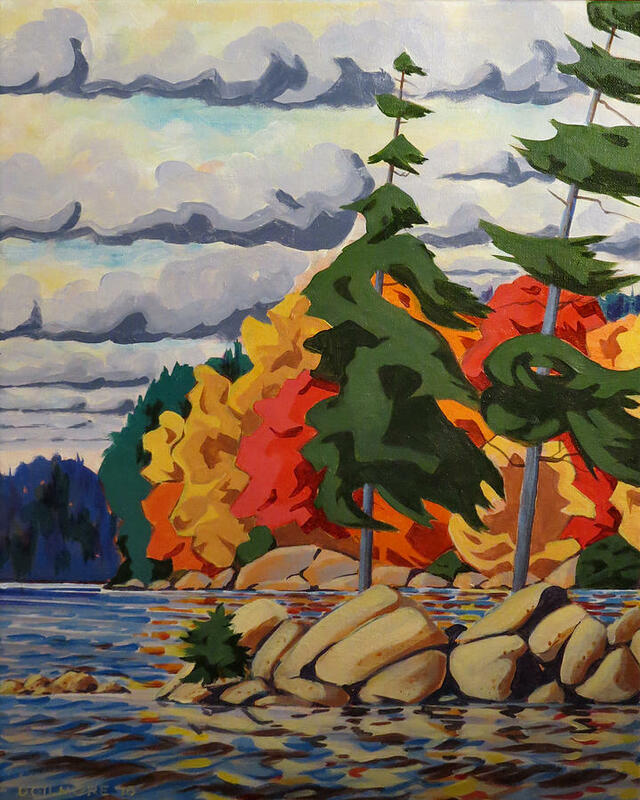 He took courses at McGill in Montreal and, in Kingston; he studied under local artist, Don McCallum, plus took courses at the Kingston School of Art, and St. Lawrence College. 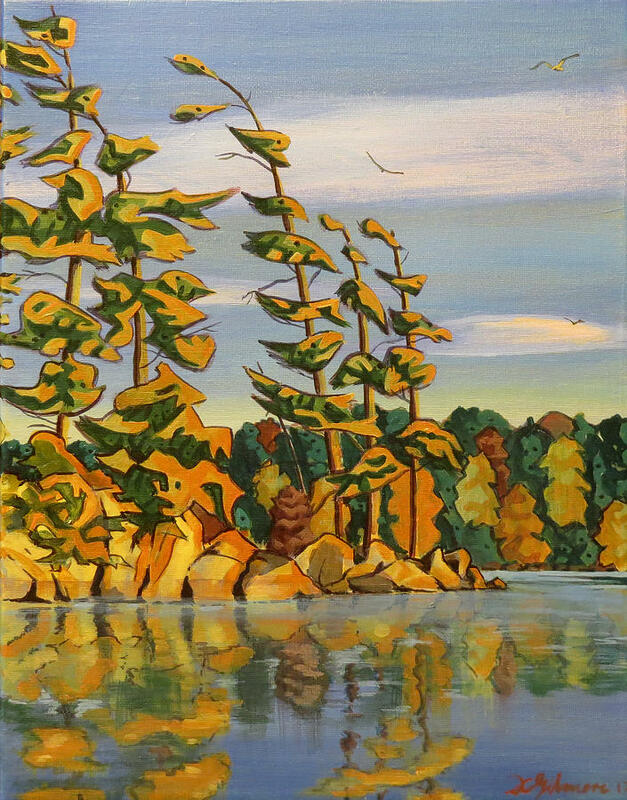 The first sales of his work were through commissions and in a show at McMartin House in Perth, Ontario. 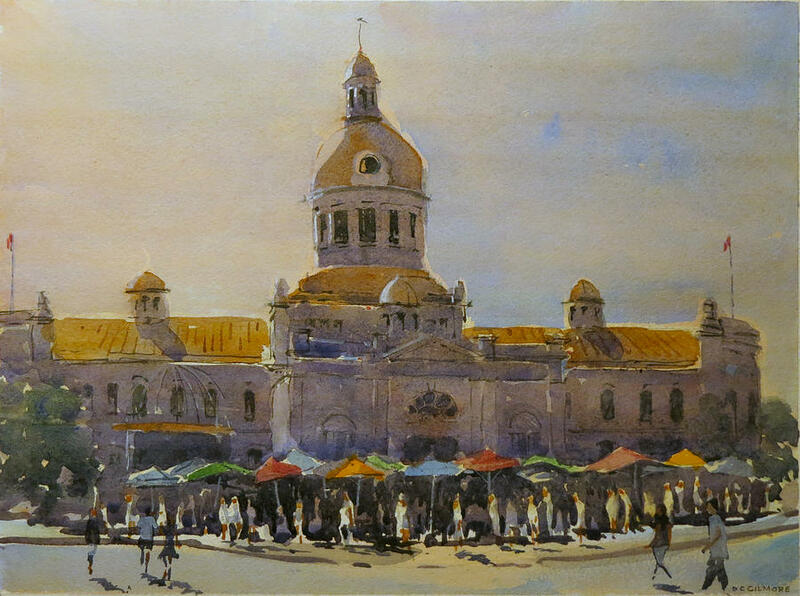 From 1989 until 2005 he worked overseas and time only allowed for some sketching. 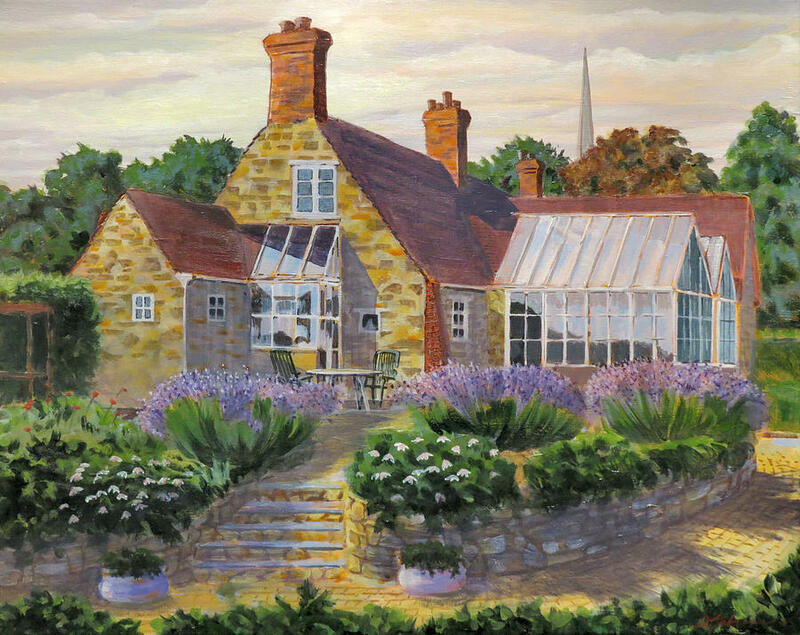 While in London, UK he studied under three established UK artists. 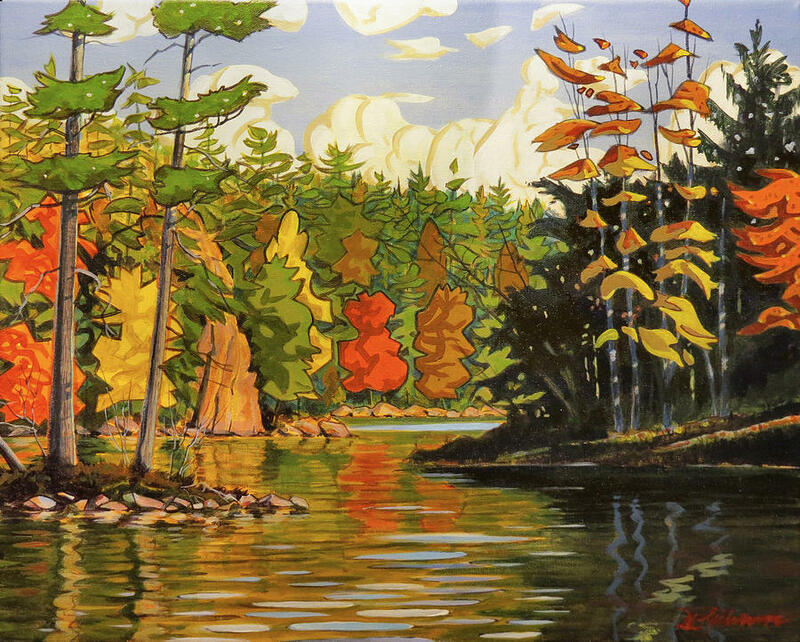 Back in Canada he exhibited at Kingston's Artisans' Alley and was invited to have a solo show at Studio22 in 2006. 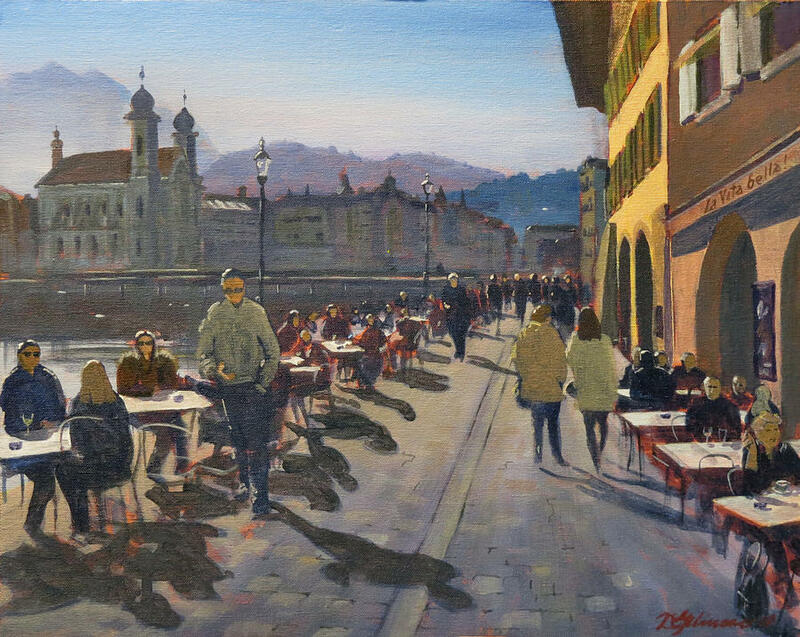 In 2008 and 2010, while living in Switzerland, he had successful solo exhibitions. 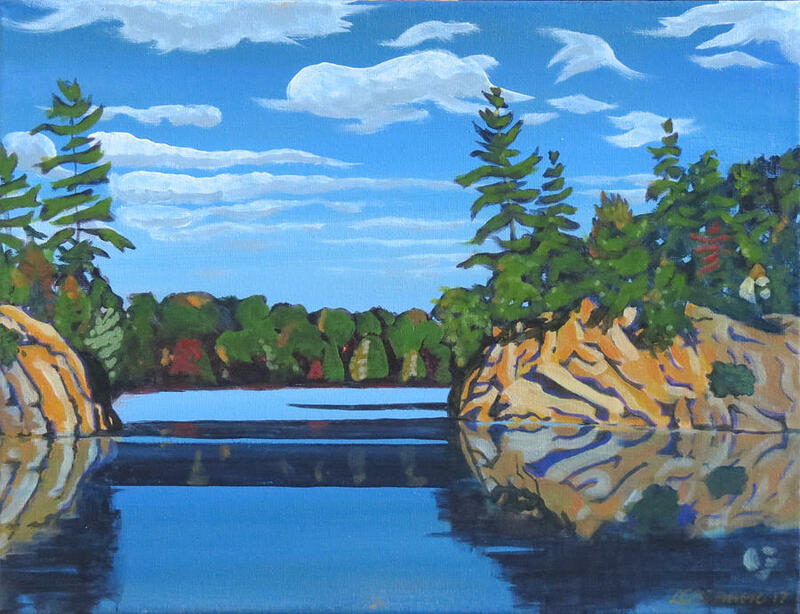 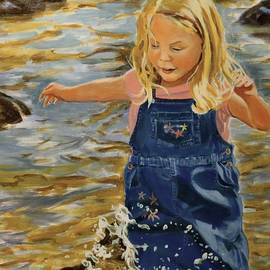 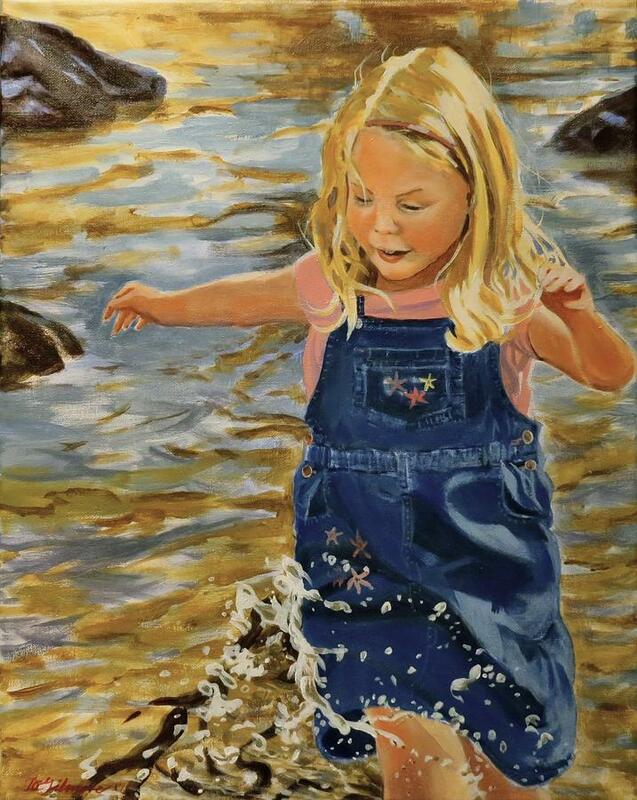 In 2011 and 2012 he was invited to exhibit at the Rideau Valley Art Festival Show. 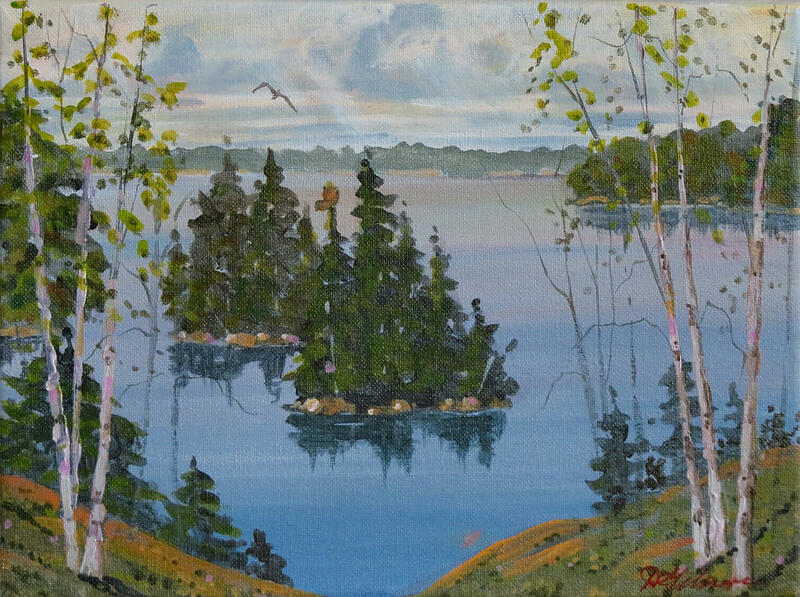 He became a member of the Rideau Lakes Artists’ Association (RLAA) and showed his work at Art-in-the-Barn in 2011, 2012 and 2014. 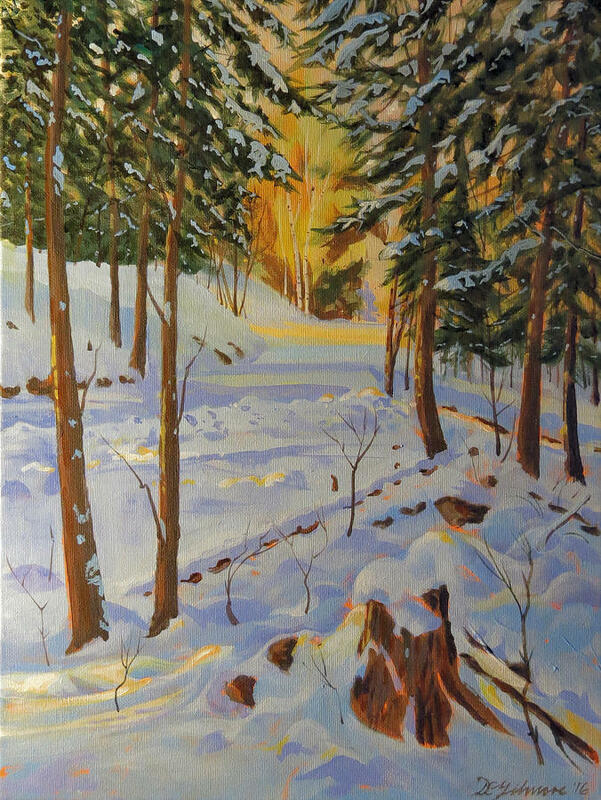 From 2013 to the present he has helped organize the Art-in-the-Sawmill show in Verona. 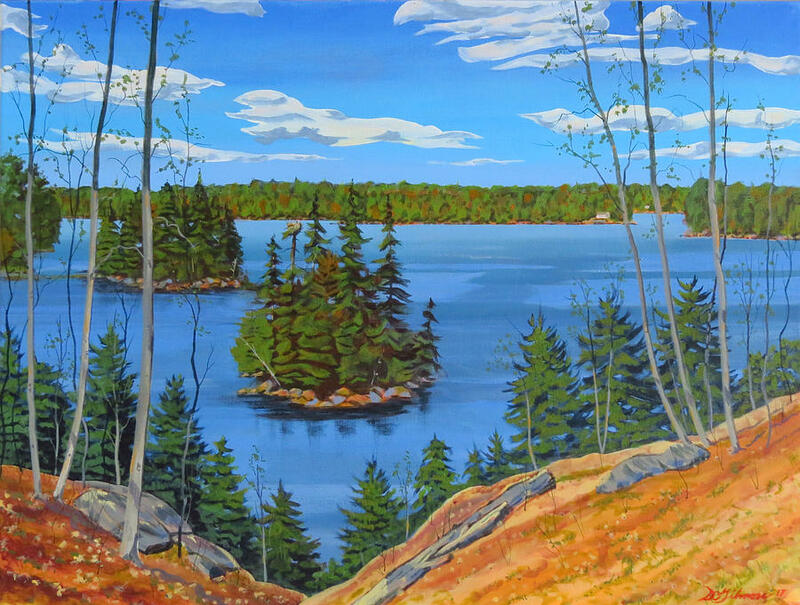 In 2013 he was invited to exhibit at the Grace Community Centre in Sydenham. 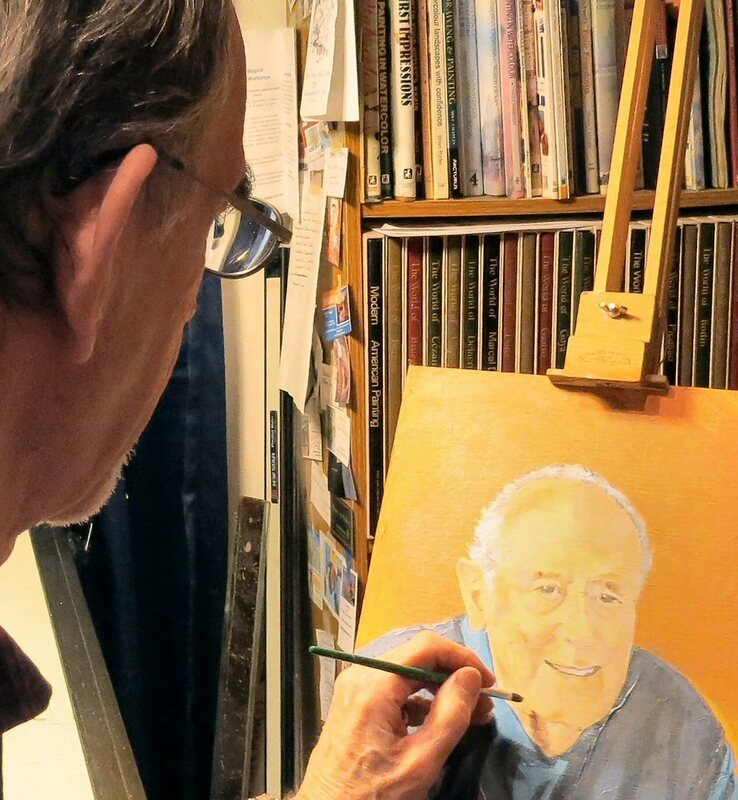 David also volunteers at the Kingston’s The Mess Open Arts Studio (www.themesskingston.weebly.com). 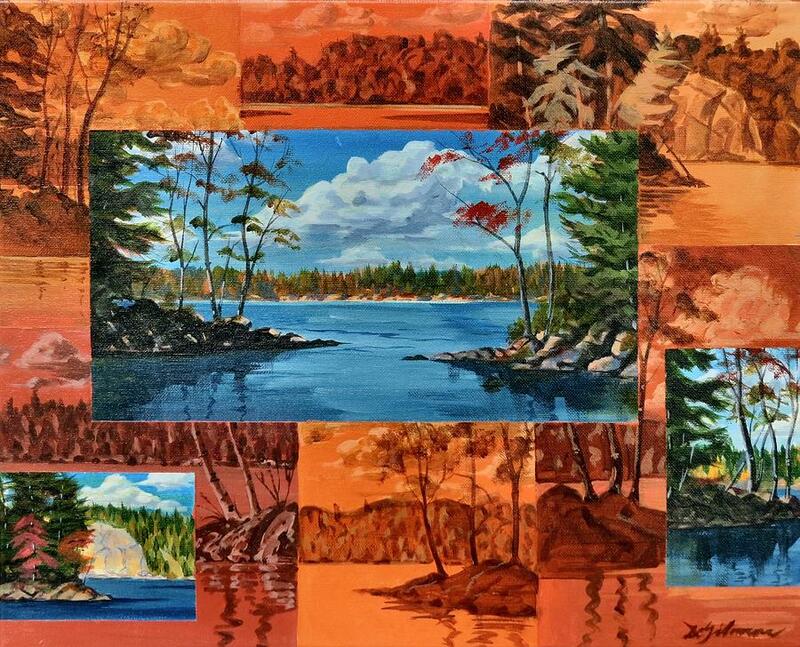 His work can also be seen at: www.dcgilmore.com He can be reached at: dcgilmore@gmail.com and 613 374-5777.